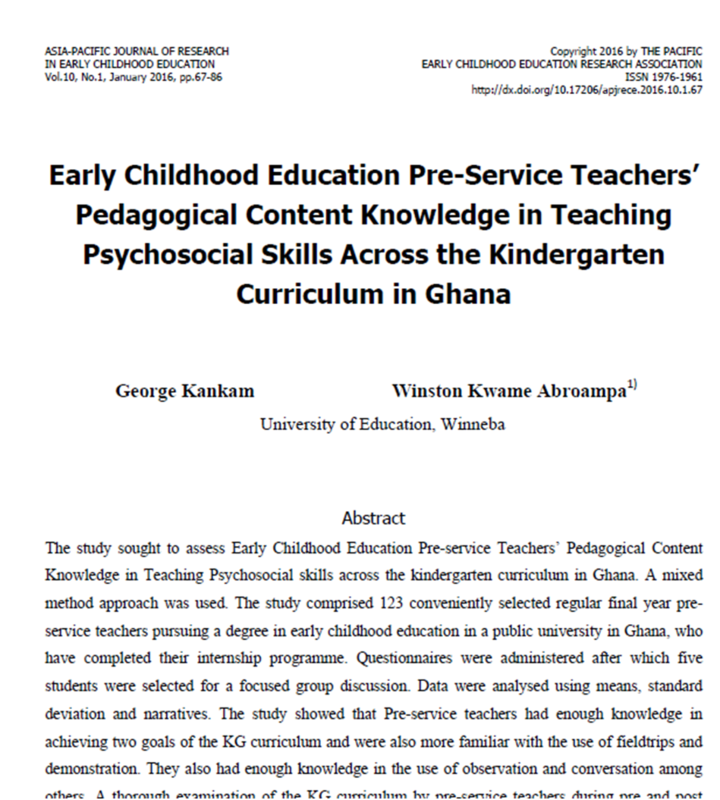 How adequate is pre-service teachers’ knowledge in the constituents of psychosocial skills in the curriculum? How adequate is pre-service teachers’ knowledge in the use of interactive techniques in inculcating psychosocial skills across the curriculum? How adequate is pre-service teachers’ knowledge in the use of assessment procedures in inculcating psychosocial skills across the curriculum? The study concludes with implications for the early childhood curriculum in Ghana and recommendations for improvement.